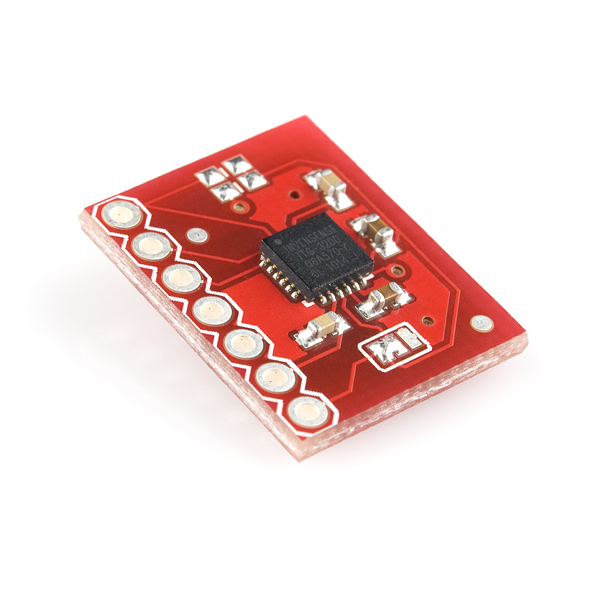 Sparkfun has recently added a triple-axis gyro that has over 30 kHz resonant frequency of all three of its mechanical elements - the ITG-3200 ($49.95). Does this mean it'll hold in a vibration-rich environment like an IMU on a small plane or multicopter? It has relatively poor initial bias stability. The turn-on bias is +/- 20 deg/s, with an additional 20 deg/s swing over the temperature range, according to the datasheet. It's possible that they got those terms mixed up, and all of the initial bias uncertainty is due to temperature, but I'm still leery of it. Wait until the successor product comes out that has a selectable range. You are probably right that much of the nonlinearity can be calibrated out. But that calibration will have to be performed on a per-device basis, which adds a lot of labor cost to the board. Either DIYDrones.com would have to raise the price to offset the labor, or the customer would be stuck with the calibration. And just how many customers in this market have high-precision turntables? A white noise spec of 0.03 deg/s/sqrt(Hz) adds up to a random walk of only 1.8 deg/sqrt(hr). It's practically negligible. The hard part is managing the bias shift. Even a 0.05 deg/s unknown bias adds up to 3 deg/min of attitude uncertainty. The current design gyros and analog circuits are just fine for ArduPilot and ArduIMU. If it was up to me, I would still wait for the IMU-3000 to come out because I just don't think that the costs outweigh the benefits right now. The ITG-3200 is clearly aimed at gaming controllers. Our preciously donated engineering time is better spent elsewhere for now.